On the quiet there are a lot of good movies on Film4. This is now available for free through the UK on Freeview, on satellite and on cable. The problem is that I keep missing so many good films or turning on just at the end. Because of this I decided to come up with an over engineered solution to this problem. Ladies and Gentlemen I give you my hack On Film 4. What this hack does is to take the Film 4 TV listings and tweets on @OnFilm4 10 minutes before the film starts. I also check if the film will be repeated and include that information in the tweet. This has already proved most useful and there have seen a few films that I would otherwise have missed, albeit on in the background while working. I then decided that I needed a way of summarising the listings so I could easily scan the for good films coming up and set the PVR to record them. I did this by setting up the On Film 4 Google Group that sends an email a couple of times a week with the films that are upcoming on the channel. I try and sort these with the most popular first. There are several sources of Film 4 programme listings but I have opted to use Andrew’s web site as it is simple and reliable. So I don’t put a load on Andrew’s server I only pull down any days I don’t already have listings for at random times of day. I also update listing for the day ahead in case it has changed. The result of this is I should have a complete weeks listing, accurate for the next day at least, but by only pulling a few KB in two files. The system also looks up each film on The Movie DB and caches the film information. TMDB is a great community supported resource and I am now helping support it by identifying errors and unlisted films as part of this process. Currently I am not doing much with this information but I intend to do more with it in the future. I am experimenting with using the data to order the films in the email although I have found that going by user vote alone tends not necessarily identify the popular films. I feel I should also say that this is not intended to be a replacement to the Film4 Twitter stream that is a far more rich and interactive service. If you find this useful or have any suggestions on how I can improve it then please get in touch. 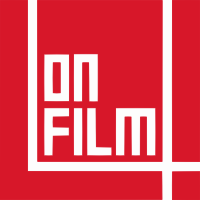 Following popular demand, well 2 people wanted it, I have added the second twitter feed http://twitter.com/OnFilm4InAnHour giving an hour notice. Any other requests? Thanks for the very useful service! If you’re still taking requests, I’d find it useful to have a list (like the groups posts), but which excluded all films in the previous list. That way I can check at a glance if there’s anything new I want to set to record.